I can’t believe it. We cycled 500km through England and France, with our little baby! 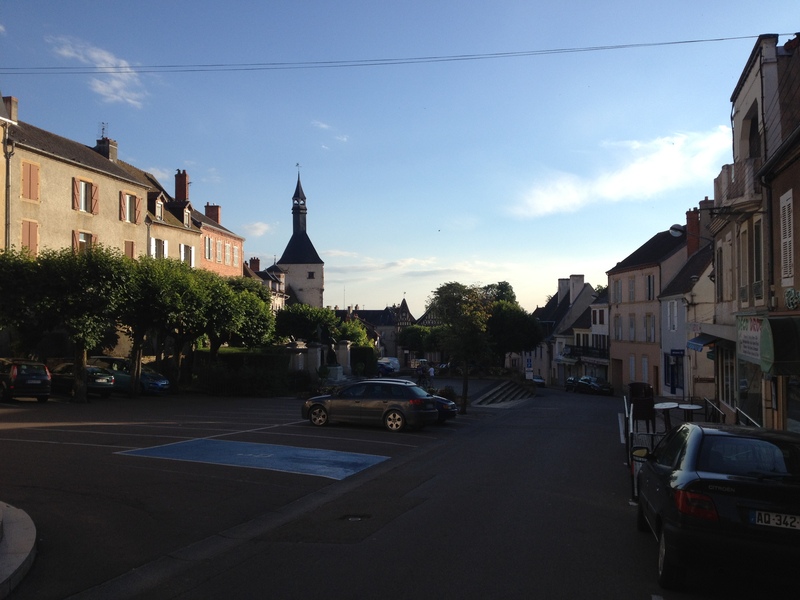 After tough two days along the Loire, Ann has negotiated a day off in Bourbon Lancy, a spa town in south Burgundy. After Bourbon, we will be heading across the Massif Central to Cluny and Macon. It will be our first encounter with real hills. Frankly, the two days along the Loire were quite hard on both of us (not Dianna though, she is happier than ever). I gave in. The 74km to Bourbon Lancy were almost completely on flat D13 along the West bank of the Canal Lateral Loire, a recreational canal that runs along the impassable Loire river. 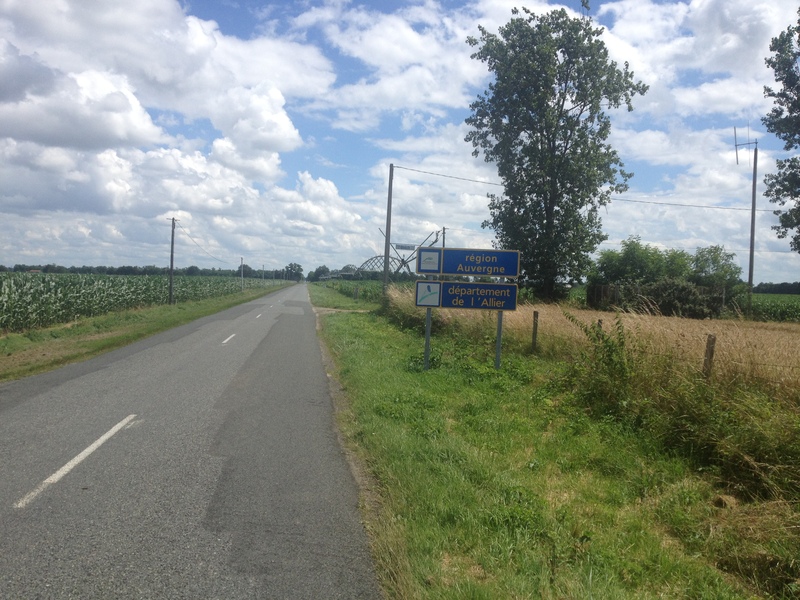 Apart from 2 hills near Nevers, the route was completely flat and with a Westerly wind pushing us East, we made the first 34km to Decize in around 2 and a half hours. D13 is a beautiful road, there is very little traffic on it (I cycled on the middle lane divider for some of the way) and the scenery is fantastic. Overall it took us 7 hours to get to Bourbon, which is quite good by our standards. Ran out of water (again), couldn’t find any around (again). Bourbon is a very nice little town with a well preserved medieval part. There is a spa centre (which is conveniently open from 2pm on Tuesdays, I really don’t know what the French are doing the rest of the time) that we plan to visit. There is also a bike shop with all kinds of gels and sports drinks.